Massachusetts Attorney General Maura Healey and other top state law enforcement officials emphasized Thursday that 3D-printing of guns is illegal and poses a serious public safety risk. The notice comes after Healey and other state attorneys general won a temporary injunction from a federal judge in Seattle last week blocking the Trump administration from allowing the plans for the 3D-printed weapons to be posted online starting Aug. 1. “These 3D-printed weapons will be used to evade Massachusetts’ strong gun laws, and my office and our law enforcement partners will do everything we can to keep deadly homemade weapons off our streets and out of our schools,” Healey said in the statement. Healey issued the notice with the state Executive Office of Public Safety and Security, the Massachusetts Chiefs of Police Association, the Massachusetts Major City Chiefs of Police, and the Massachusetts District Attorneys Association. 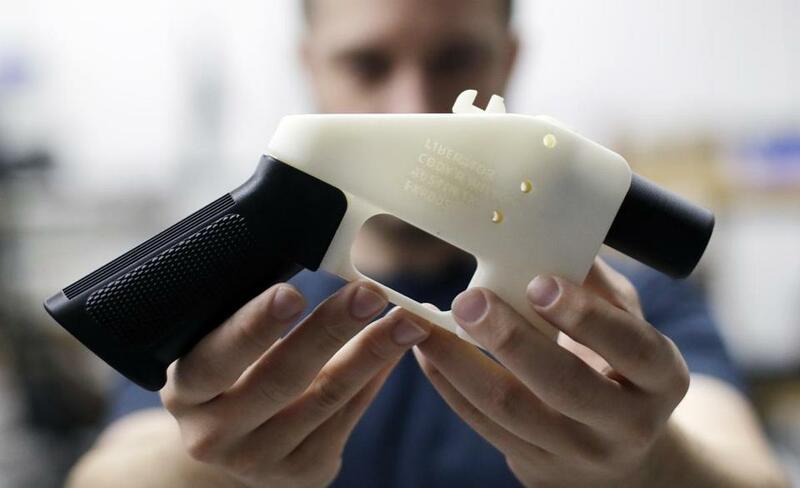 A variety of laws could be broken by people who 3D-print guns, the notice said. “Weapons built with 3D printers evade state gun laws and make it even more challenging for law enforcement to do their jobs keeping the public safe,” Dudley Police Chief Steve Wojnar, president of the state Chiefs of Police Association, said in the statement. The company behind the plans, Austin, Texas-based Defense Distributed, reached a settlement with the federal government in June allowing it to make plans for the guns available. Critics have warned about “ghost guns” that can avoid detection and pose a deadly hazard. Outrage over the administration’s decision is putting gun control back into the election-year political debate, but with a high-tech twist. In 3D printing, a machine uses digital blueprints to “print,” or build, a three-dimensional object. It is also known as “additive manufacturing” because the object is built layer by layer.